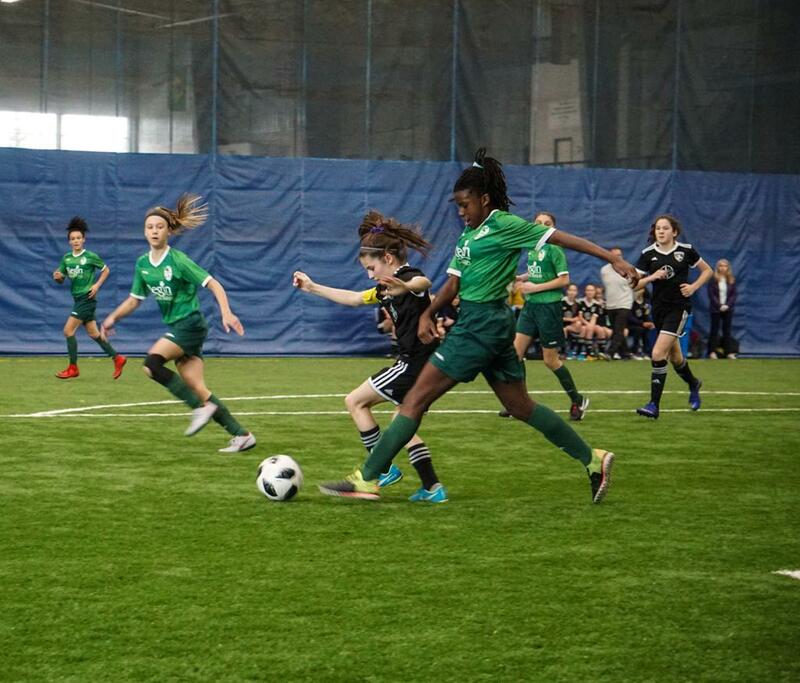 The competition for the U-13 girls concluded with Erin Mills taking on Dorchester SC Alliance in the final. Erin Mills had the run of play in the early going with several chances just skipping out of reach. 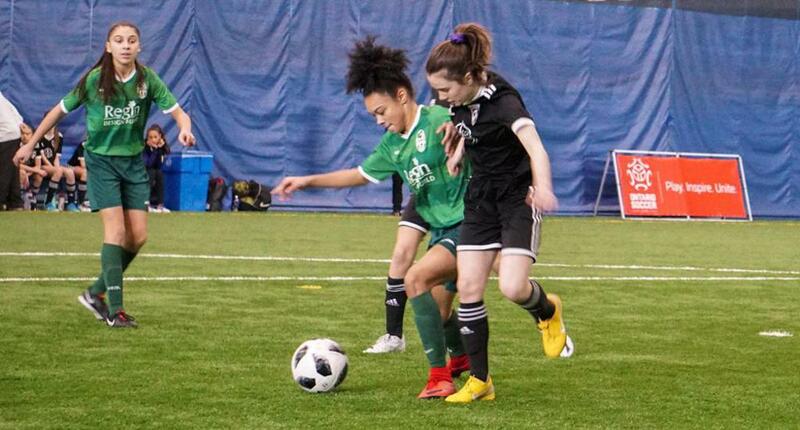 With five minutes remaining in the first half however, Jadea Collin beat her mark to the near post and chipped the keeper cleverly to make it 1-0 Erin Mills. The first half would end without any further good chances but would begin with a flurry. Dorchester was doing their best to claw themselves back into the game and very nearly was able to draw level on a few occasions but the ball didn’t bounce their way. At the other end, Dorchester’s keeper, Julia Tunks, was doing her part to keep her team in the game, making several acrobatic saves to ensure Erin Mills’ didn’t increase their lead. 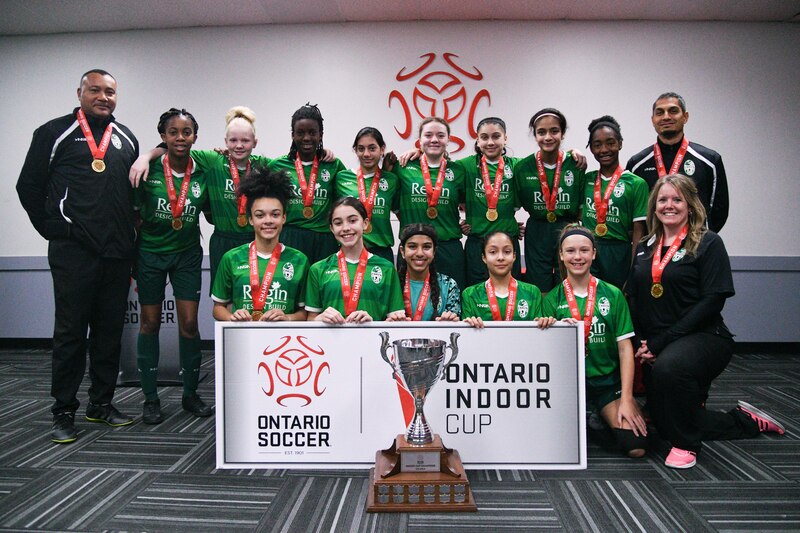 Despite Dorchester’s best efforts they weren’t able to find the tying goal and Erin Mills would win the U-13 Girls Ontario Indoor Cup.